to research models, find deals, and get real-time advice. In fact, 1 out of every 2 automotive searches on Google, like those for make and model, occur on smartphones1 - up 51% year over year.2 To help you reach these auto shoppers with the most relevant and useful experience in those critical micro-moments, we’ve fully rolled out Model Automotive ads, a new mobile ad format now available to all OEM automotive advertisers in the US. Undecided auto shoppers turn to images to help narrow down their choices. Searches for “pictures of [automotive brand]” are up 37% year-over-year3 with 80% of those searches occurring on mobile.4 In fact, viewing images of cars and trucks is the most common mobile action when shopping for a vehicle.5 That’s more than any other mobile action taken when shopping for a car. Model Automotive ads recreate that showroom experience by featuring images of your cars along with additional information about each of them, like estimated MPG or advanced features, right within mobile search results. “Google's Model Automotive ads provide an immediate and immersive mobile experience for our guests, and the ability to show and tell our story helps highlight the value of the Toyota brand and our vehicles. 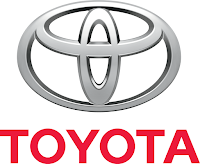 Across our core line of car models, we’ve seen a 45% increase in conversion events and a 30% decrease in CPA compared to standard text ads.” - Dionne Colvin-Lovely, Director, Traditional and New Media, Toyota Motor Sales, U.S.A. Even as the majority of the car shopping process moves online, the visit to a dealership remains a crucial step in the journey. In the past year, search interest for “car dealerships near me” has doubled,7 with interest in dealer phone numbers up nearly 80% year over year.8 Dealer Automotive ads capture this growing opportunity by featuring the location, directions, and a click-to-call button of nearby dealerships at the top of mobile search results. To help shoppers navigate from the mobile showroom to a test drive at their local dealership, we’ve built Automotive ads to work seamlessly together. Auto shoppers who start their search with a car model can easily tap on the “Dealers” button in the Model Automotive ad to get directions to or call local dealerships. For example, if someone taps on the Model Automotive ads “Dealers” button after searching for “2016 Toyota Prius,” Google will automatically show Dealer Automotive ads for Toyota dealerships near their location. The way people shop for cars has changed. The days of going from dealership to dealership are over. People now turn to their smartphones in critical auto shopping moments to research models, find deals, and get real-time advice. In fact, 1 out of every 2 automotive searches on Google, like those for make and model, occur on smartphones1 - up 51% year over year.2 To help you reach these auto shoppers with the most relevant and useful experience in those critical micro-moments, we’ve fully rolled out Model Automotive ads, a new mobile ad format now available to all OEM automotive advertisers in the US. , consumers expect ads to be helpful and relevant - whether that’s showing product details, directions to the nearest store, a phone number to call, or additional information about the business they’re interested in. The innovations in AdWords that make these experiences possible have helped many businesses reach their customers in better, smarter ways. What was once a tool to help advertisers place text ads on search results has become so much more than that. As a result, we’ve seen an increase in the complexity that marketers face every day. For example, AdWords now encompasses display and video media that can be bought on YouTube and across the web. And that’s just the tip of the iceberg. This rise in complexity has created the need to reimagine AdWords, and over the past year, our product teams have been thinking hard about about how we can make AdWords as relevant for the next 15 years as the first 15. From creating a single Shopping campaign to updating thousands of text ads, we needed to do this in a way that works well for all advertisers around the world, regardless of size or objective. So we met with many of you - large and small advertisers, from power users to beginners - in order to understand what we’re doing well and where we’re falling short. The comments we received and insights we uncovered were illuminating, and they ultimately resulted in user studies, product refinement, and this important milestone. Today I’m excited to provide an early look into the new AdWords experience and three key areas of the platform we’re deeply focused on. Each is rooted in the feedback we heard from you. AdWords should be more about your business, and less about our product. We want everything to support the way you think about your business. From the way you express business goals to the way you measure and manage your ads, we want to make it super easy to execute and optimize campaigns based on your unique marketing objectives. What should be most noticeable about this new AdWords experience is the look and feel. This is Material Design, the design language that’s at the core of our favorite Google apps like Maps, Search, and Gmail. While this AdWords may look and feel different, your campaigns will run the same as they run today - with no upgrades or migrations. We look forward to undertaking this journey with you and to delivering the tools you need to connect with consumers in meaningful and relevant ways. Since introducing AdWords 15 years ago, we’ve seen a fundamental change in the way people find what they want, when they want it. We now use multiple devices throughout the day, and watch more videos and visit more websites and apps than ever before. Today, more Google searches take place on smartphones than on computers, globally. The days of predictable web sessions have been replaced by numerous short bursts of digital activity throughout the day, primarily on mobile. In these micro-moments, consumers expect ads to be helpful and relevant - whether that’s showing product details, directions to the nearest store, a phone number to call, or additional information about the business they’re interested in. “The Google Analytics 360 Suite gave us the really big ah-­ha moment. When we launched our mobile app, it provided insurance quotes. But after looking at the data, we saw people were attempting to buy insurance. So, we shifted our mobile strategy to offer ecommerce. Google gave us that insight,” said Pawan Divakarla, Analytics Leader at Progressive. Sophisticated marketers who use analytics platforms are three times more likely to outperform their peers in achieving revenue goals.1 It’s no wonder enterprise-class marketers have been telling us they need more from their marketing analytics tools. Many toolsets can't cope: They're too hard to use, lack sufficient collaboration capabilities, are poorly integrated, and require hard-to-find expertise. “Using the integrations in the Google Analytics 360 Suite, we are able to manage everything in one seamless platform,” said Khoi Truong, Director of Analytics and Media at L'Oréal Canada. 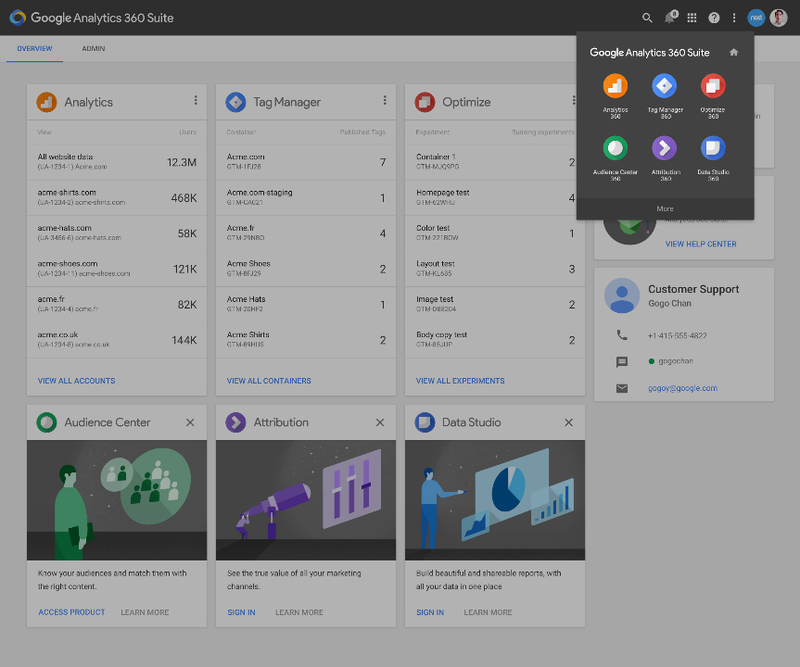 “The Google Analytics 360 Suite has a native integration with DoubleClick — that’s a game-changer. Now I can personalize my media based on website user behaviors, such as what they purchase,” said Khoi Truong, Director of Media and Data Optimization at L’Oreal Canada. Over the coming weeks we’ll dive into the capabilities and benefits of all the new products on the newly refreshed and renamed Google Analytics Solutions blog, and on the Google Analytics Google+ and Twitter pages. We’d love your feedback. However, while a user may be excited about downloading an app, it can soon be forgotten; studies have shown that 1 in 4 installed apps are never used. For game developers, building a successful business has often depended on an approach of acquiring as many users as possible, then trying to keep them engaged in the game as their interest wanes. 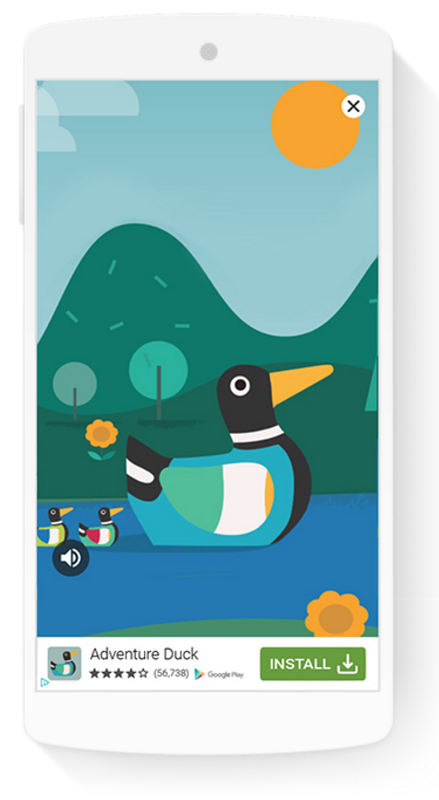 While volume is important, it’s more important to find the right kind of user, who’ll open the app and keep on playing. That’s why today, at the Game Developers Conference (GDC), we announced a host of new features in AdWords and AdMob that make it simpler for developers to reach the right users at scale. We recently introduced Trial Run Ads on the Google Display Network which let users stream your game from a display ad for your app before they download. In the next few weeks, we’ll extend these ads to search results on Google as a beta for selected U.S. advertisers. With Search Trial Run Ads, when a user searches for a game on Google, they can click ‘Try Now’ from within a search ad and try the app before installing it, similar to streaming apps from organic results. These ads will appear to smartphone users on WiFi, and the user can play for up to 10 minutes, then download the app in full if they choose. This format drives highly-qualified users who are more likely to stay engaged with the app after install. Contact your Google representative to learn more about using this new format. More than 80% of video ad views in mobile apps on the Google Display Network are from devices held vertically, but often, the videos are created for landscape viewing. Over the next few weeks we’re launching Portrait Video Ads so users have a full-screen, immersive portrait video experience without having to re-orient their device. We’ve seen significant improvement in both click-through and conversion rates from game developers using Portrait Video, resulting in much lower cost per install and a larger number of downloads. In AdWords, you'll be able to give us a portrait video and we'll display it full screen to the user. Advertisers have long been able to control who sees their AdWords ads, and in the coming weeks we’ll be launching even finer options to reach high-quality users with Active User Targeting for Games. This new type of targeting for Android apps can show ads to users who have spent more than 30 minutes playing games, or who have played a Google Play Games integrated game in the last 30 days. Game developers can show their ads to game lovers, and combined with other types of targeting, such as a particular game category (e.g., Adventure), they can reach a very precise audience. AdMob helps app developers around the world earn through in-app advertising with best-in-class formats and smart tools to maximize revenue. Increasingly, rewarded advertising is becoming a popular form of game monetization: users are given the choice to engage with ads in exchange for in-app rewards. Today, we’re introducing a way for developers to easily monetize apps with rewarded video ads from a number of ad providers in AdMob Mediation. Supported networks and platforms include AdColony, AppLovin, Chartboost, Fyber, Upsight, and Vungle, with more being added all the time. So if you’re a developer monetizing with these providers, you can easily manage and optimize them through the AdMob interface. It’s part of our ongoing commitment to provide app developers with a first-class mediation solution, and follows our recent launch enabling SDK-less mediation. We’re working closely with developers to innovate our ad solutions and help them build strong businesses. If you’re a game developer, come and meet with our ads teams at GDC at the Google booth between Wednesday and Friday, to discuss developing great games, growing your user base and earning more money. We’ll have a series of great talks in our booth mini-theater each day, and on Thursday morning we’ll be part of the main GDC sessions, with a discussion on user acquisition and monetization. When mobile users are looking for entertainment they often turn to gaming apps. In 2015, an estimated 41% of all apps downloaded were games.1 However, while a user may be excited about downloading an app, it can soon be forgotten; studies have shown that 1 in 4 installed apps are never used. , I-want-to-go, I-want-to-do, and I-want-to-buy moments throughout the day. Research shows that the bounce rate can be as high as 58% for web pages that take nearly ten seconds to load.1 Check Pagespeed Insights to gauge your mobile site’s speed. and additional best practices on app engagement. We understand that app engagement is important to lifetime value and are continually building and improving upon products that help reach those growth goals. We've all downloaded useful apps with the intention of using them, but with many things fighting for our attention it’s easy to forget about the ones that we’ve downloaded. For app marketers, being able to reconnect with app users in those relevant moments is extremely powerful, and with our latest launch of bulk IDFA/advertising ID upload in AdWords, we’ve made it easier than ever. Being present in context when a consumer needs you is crucial. For example, 91% of smartphone users reach for their phone to get ideas while doing a task - and that’s when you want your app to surface. To adapt to this shift, apps today are investing beyond the install and moving to engage their customers with smart retention strategies. With this in mind, today we’re launching bulk IDFA/advertising ID upload across Android and iOS. Simply put, it’s a tool that allows a developer to upload their own list of existing app users that they’d like to engage further on their app. For example, say a retail app wants to get purchasers from their holiday sale to check out their new spring discounts. They can pull a segment of their app users’ IDs from their own analytics tools and upload them to AdWords. They can then run engagement campaigns across apps on the Google Display Network while targeting a group of potentially high-value users. The targeted campaign can incentivize users by providing a special discount on their retail app purchase and reduce friction by opening a specific section of the app upon ad click. You can also use this feature if you have both a site and a mobile app. If your site has had success targeting an audience who've shown interest in, for example, board games on your site, use your app analytics tools to create this segment of app users, and upload to target those users in AdWords. This helps you get in touch with users during those crucial micro-moments across platforms. Bulk IDFA/advertising ID upload is now available via AdWords and runs on the Google Display Network. Learn about creating a remarketing list and additional best practices on app engagement. - Reach customers within demographic groups you choose — including age, gender, and parental status. For example, a brand running a promotion for back-to-school backpacks can reach moms 25-34 years old. Affinity audiences - Drive brand awareness and engagement by reaching people who have interests relevant to your brand. For example, a sportswear brand can reach outdoor enthusiasts to announce its new line of hiking apparel. Custom affinity audiences - Drive consideration with an audience tailored precisely for your business. For example, a company that produces a soccer video game can reach fans of specific soccer clubs. In-market audiences - Drive qualified traffic by reaching customers actively researching and intending to make a purchase. For example, a consumer electronics manufacturer can reach customers actively shopping for cameras. Each month, AdWords advertisers worldwide run hundreds of thousands of campaigns using these audience solutions. Ford New Zealand, one of these advertisers, used Google’s audiences to drive more car shoppers to its website. Ford wanted to reach auto enthusiasts and raise brand awareness for its vehicles, so it used affinity audiences. The automaker also wanted to reach individuals actively researching and considering the purchase of a new vehicle, so it used in-market audiences. By using these solutions as well as dynamic remarketing, Ford drove a 60% increase in site visitors and tripled the amount of time spent on its site. "Google’s audiences let us reach customers at each stage of the path to purchase, which helped us drive more qualified customers to our website and increase leads,” said Ford New Zealand's general manager of marketing, Cameron Thomas. Read more here. Google’s audiences are built using data from millions of websites and apps — including properties like YouTube that reach over a billion users. This gives us a wide range of contexts — reading hotel reviews, browsing homes on a real estate app, watching car videos, and more — to understand what people care about. Users can control their experience so they’re more likely to see useful, relevant ads. We classify the millions of websites and apps on the GDN using machine learning, separating those that indicate “passion” from those that indicate “intent.” This enables you to connect with customers at the right stage of the path to purchase based on the types of websites and apps people visit. For example, if you’re an electronics brand looking to drive awareness, you may want to reach people who browse electronics blogs and videos to satisfy their passion for gadgets. But if your goal is to drive sales, you may want to reach people who are researching high-definition televisions on price comparison websites. AdWords updates audiences in real-time, adding new information each time an ad is shown and removing information that no longer reflects people’s current interests. This is important for your ads’ performance, since a person who shops for a plane ticket today may no longer need one tomorrow. Or a person who is an aspiring chef this winter may find a new all-consuming passion for the outdoors in the spring. To help even more marketers reach their audiences, we’ve also made these solutions available globally on YouTube and DoubleClick. Whether your goal is building your brand or driving sales, Google’s audiences help you reach the right people at the right moment across millions of websites and apps. Demographics - Reach customers within demographic groups you choose — including age, gender, and parental status. For example, a brand running a promotion for back-to-school backpacks can reach moms 25-34 years old.